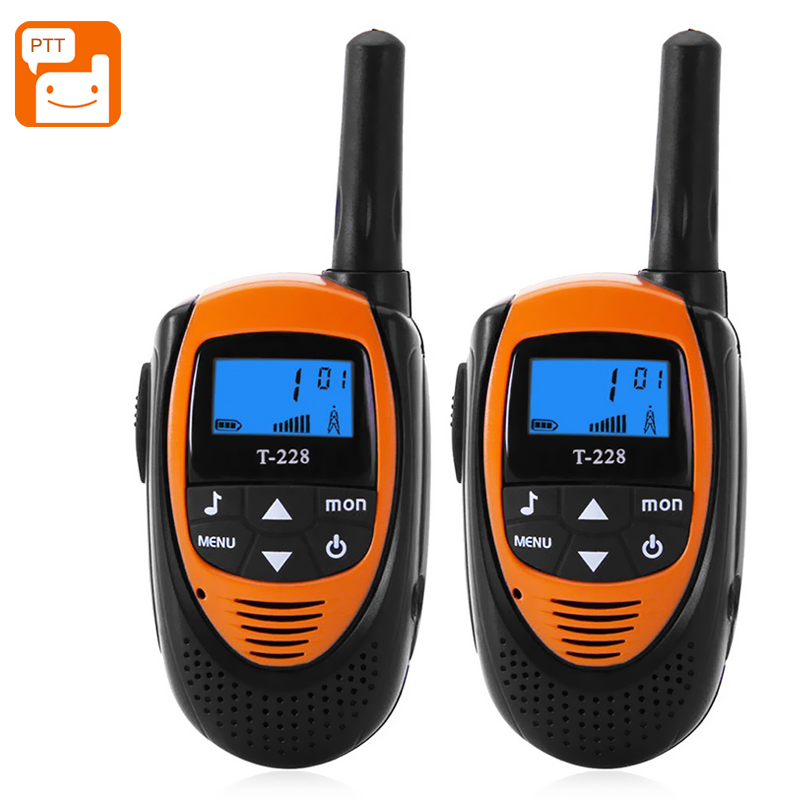 Successfully Added T-228 Walkie Talkies - 22 Channels, 99 Sub Codes, Backlit LCD Display, 4KM Range, Belt Clip (Orange) to your Shopping Cart. This pack of two T-288 walkie talkies is an excellent tool for the outdoors, supporting communications from locations up to 4KM apart its the easy way to keep in contact when there is no cell phone network coverage. They are also an ideal tool for keeping tabs on your kids and letting you contact them when they are out playing - especially if they are out of shouting distance. Working on the Continuous Tone Coded Squelch System (CTCSS) over the 462MHz frequency and having 22 channels to chose from with 99 sub codes bringing a huge number of combinations, so there should always be an unused channel for you to talk on. A scan function lets you track conversations that are in progress or quickly select an unused frequency. To make the walkie talkies easier to use in loud environments, such as construction sites or industrial plants there is an audio jack on the side of each device so you can connect an earphone for easier listening. This has the advantage of allowing you to use an earphone and clip the walkie talkie to your belt so as you can keep both hands free to for work. With a backlit LCD display, the screen is easy to read any time of day and indicates the connection strength, remaining battery power and channel settings and running off 3 AAA batteries will bring you around 3 hours of usage time. This pack of two T-228 walkie talkies come with 12 months warranty, brought to you by the leader in electronic devices as well as wholesale walkie talkies..